The habit of sharing food spreads happiness everywhere. A conversation while having a large pizza slice can unfolds old memories so why not order food online and relive those moments once again? Sometimes it happens, we don’t wish to cook a meal after an exhausting day or don’t feel like leaving a cosy couch to visit a restaurant, at that time the best option is to place a food order online. At present, there are the plenty of food chains that lets you order your favourite meal on a single click. Whether you are craving for a wrap, chicken burger, veg pizza, or mac and cheese pasta, all you have to do is pick up your smartphone and start ordering now. For a foodie, the love for food is beyond comparison. For them, offers on cuisines are like a cherry on a cake. Here are some online platforms from where you can easily order food online and get them delivered right at your doorsteps. Don’t forget to use the lucrative food delivery offers given by online food ordering websites to save a few bucks in your pocket. Anyone can distinguish a biryani lover from a mile. If you are also one of them, then don’t wait to have a taste of special Behrouz Biryani. Behrouz Biryani, the magical creators of royal biryani, brings the lost recipe of Behrouz to your plate. Also, the meat that they use in their product is Halal. From Shahi Biryani to Kebab Koobideh and Sherbet, whatever be your pick, just order it online from Behrouz Biryani. All those who are new to the kingdom of Behrouz Biryani could get 15% off on their first order. To avail this offer, use the Behrouz Biryani coupon code “MK15”. Avail cashback upto Rs.75 by paying via Amazon Pay. Cure.Fit rolls out Eat.Fit for fitness freaks out there. What would be better than getting hot and fresh meals delivered every day to your doorsteps? Eat.Fit gives you exactly, by taking care of your health needs. Take Eat.fit subscription for breakfast, lunch, and dinner at Cure.Fit to say goodbye to long grocery lines, cooking meals, doing dishes, and deciding menus every morning. Subscribe at Eat.fit to get 25% off on every meal. Buy breakfast & snacks at just Rs. 69 and lunch & dinner at Rs. 99 from Eat.Fit and get it delivered for free. Apply for the Eat.Fit weekly subscription to get every meal at just Rs. 150 for first seven days and also, win Puma vouchers worth Rs. 300. Opt for the Eat.Fit monthly subscription and get 25% off on every meal for the first 30 days along with an exciting Puma voucher worth Rs. 1000. Cure.Fit is offering a flat 20% cashback on all orders above Rs. 100 when paid through PayTM e-wallet. So, make your payment via PayTM for Eat.Fit meals to earn a cashback of up to Rs. 75. Liked Eat.Fit? Share your experience with others. When you refer Eat.Fit to your friends, you get Rs. 100 off on your next meal. Happiness comes in a square shaped blue box! We are talking about Domino’s Pizza. From birthday parties and anniversary celebrations to get-togethers and promotion treats, Domino’s Pizza is counted among the first choices. Having an amazing network of more than 1000 outlets across in 265 cities, Domino’s Pizza has become home delivery specialist in India. Within 30 minutes, hot and delicious pizza will reach to your doorsteps to soothe your hunger pangs. Domino’s Pizza Everyday Value - Buy two regular pizzas starting at just Rs. 99 or buy two medium size pizzas at Rs. 199 each. Use your Amazon Pay wallet to earn 30% cashback up to Rs. 100 on your online pizza orders from Domino’s Pizza. Earn a flat cashback of Rs. 50 when you pay via Freecharge wallet at Domino’s Pizza. Domino’s Pizza is giving a cashback of Rs. 100, when you order twice and make payments through PayTM e-wallet. Order your favourite pizza at Domino’s and pay via Pockets, an e-wallet facility by ICICI bank, to earn 20% cashback up to Rs. 200. Avail Dominos Mobikwik offer to get your hands on 25% Supercash up to Rs. 100 on your order at Domino’s Pizza. What's for food today? Ask Faasos! Proud to be working 365 days a year, Faasos has become one of the leading food delivery services in India. Whenever you feel hungry, take your pick from a wide range of Wraps, Breakfast, Chinese, South Indian, Indian meal boxes, Rice and Biryani combos, and yummy Desserts at Faasos. Follow the Faasos “Eat Good, Eat Exciting” moto and start ordering food online using the Faasos mobile app or website to get your food delivered in no time. Faasos gives a wonderful offer to those who are new to the world of Faasos. On the first order, users can grab 100% cashback (maximum up to Rs. 150) on their first order. For this, use the Faasos coupon code “BUDS”. On using the Faasos coupon code “CBWEB25”, you get a cashback of 25% on your orders above Rs. 299. Grab a straight discount of 25% on Faasos orders above Rs. 349. Make sure to apply the Faasos promo code “WEB25” before placing your order. On the minimum order of Rs. 999 at Faasos, you can grab up to 30% discount. Use the Faasos promo code “BIG30” to earn a maximum discount of Rs. 400. New customers can utilize the Faasos coupon code “NWEB50” to gain 50% cashback on their first order. Faasos is offering 20% cashback on all orders on using the Faasos promo code “RWEB20”. Faasos Bolt - Taking the food delivery service to the next level, Faasos presents you with Bolt service where you would get the 100% instant cashback up to Rs. 200 if your order doesn't get delivered within the promised time. For exclusive Faasos offers, install the Faasos app on your smartphone. On becoming Faasos Elite member, you get the plenty of privileges such as order now, pay later facility, prioritized delivery, refer and earn 150 bonus credits, free desserts on all orders above Rs. 299, meals worth Rs. 100 in birthday week, and more. When you feel like giving a treat to your taste buds, try Firangi Bake where you would get mouth-watering cuisines at your fingertips. From delicious starters like nuggets and pav to steak meals and lasagne, Firangi Bake is present to satisfy all your food cravings. Use the Firangi Bake coupon code “FB15” to get a flat 15% off on your food orders. Spend more than Rs. 300 on online food ordering at Firangi Bake and use the coupon code “FBG100” to get Rs. 100 off. Want to eat Pot Rice, order at Firangi bake starting at Rs. 250 only. No more you have to search “food delivery near me” on Google if you are a Delhite. The reason is FoodPanda is here to serve you. Whether you are having a stressful day or you are chilling at home and not in a mood to cook meals, log in to the FoodPanda app to enjoy delightful meals at home. Including Fast food, Biryani, Wraps, Chinese, Cakes, Sandwiches, South Indian, and Desserts, you get the plenty of options to choose from at FoodPanda. On using the FoodPanda Coupon code “ZERO”, you get free food delivery on every order. However, to avail the offer, you have to use PhonePe as your payment method. What’s more? You get to earn a cashback of 50% up to Rs. 300, when you make four orders at FoodPanda, within the offer period. New customers at FoodPanda can enjoy their meals without spending a much on their orders. On the first three orders, FoodPanda is giving a flat 50% off when you use the FoodPanda coupon code “FB50”. Avail Mobikwik SuperCash offer to earn up to Rs. 300 cashback on the next four consecutive transactions at FoodPanda. Want to have a bit of Indian and Mughlai dishes? Get 30% off on all items only at FoodPanda. Do you believe in buying everything fresh? If so, FreshMenu is what you require exploring. From fruits to vegetables, every ingredient that FreshMenu chefs use is fresh and young. Even they prefer changing their menu every day. So, if you are bored of having the same meal over and over again, order food online from FreshMenu where you could get indulge in mouth-watering cuisines around the world. Get 26% off and save Rs. 51 on Dum Biriyani with Lucknawi Paneer at FreshMenu. Buy FreshMenu Dum Biriyani with Chicken Tikka Masala and Raita at just Rs. 159 and avail 28% off on your order. Wouldn’t that be amazing to get a straight discount of 36% when you have craving for Chinese food? Make use of FreshMenu offer to buy Shanghai Noodle Bowl at just Rs.129. If you are a new customer at FreshMenu, then FreshMenu is waiting to welcome you with exclusive food delivery offers. On the first three orders, FreshMenu is offering 20% off on all orders along with free of cost delivery. Use Amazon Pay balance to pay for your online food at FreshMenu to earn a cashback of 20% up to Rs. 75. Want to know the secret behind KFC’s finger-lickin' good taste? It’s Grade- A quality chicken, fresh veggies and best species. Prepared from 100% real whole muscle chicken, KFC guarantees you freshness in their every meal box. If you want to munch some juicy chicken wings, order your food right away from KFC. Want to save a few bucks on your online food ordering at KFC? If yes is your answer, then avail 38% off on your KFC Triple Treat order that lets you buy 14 chicken pieces at just Rs. 649. KFC never fails to surprise its customers. With KFC Big 8, you would get 4 pieces of hot and spicy chicken and 4 pieces of smoky grilled chicken at just Rs. 449, which means you save 43% on your chicken bucket. When you are extremely hungry, buy KFC’s 5 in 1 Zinger box which is available at Rs. 229 only. This meal box includes one Zinger Burger, 2 Hot Wings, regular Fries, a regular Side and a soft drink of your choice. On using the KFC coupon code “KFCD02”, you get a flat 15% off on all orders above Rs. 500. To make your everyday special, KFC presents you with daily new offers such as on the purchase of 4 pieces of hot and crispy chicken, you get 4 pieces strips absolutely free. Are your running low on your budget but still want to eat something mouthwatering? McDonald's is the right place for you. No matter whether you are vegetarian, eggetarian, or non-vegetarian, explore the online store of McD for a burger, fries, soft serve, and McPuff. Within no time, hot food will get delivered to your doorsteps. 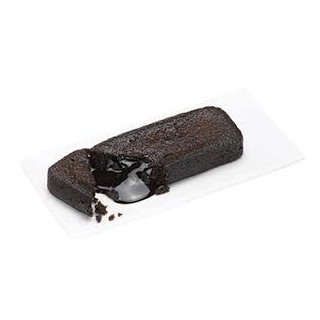 Buy McCafe hot coffee plus muffin or cookie at just Rs. 139. Purchase McCafe cold coffee along with a cookie or muffin at Rs. 179 only. Bored of eating same old McDonald’s meal? Try McSaver breakfast combos (7 A.M. - 12 noon) at just Rs. 99. Their exclusive breakfast menu changes every day of the week. Pay for you McDonald’s meal, using the PhonePe app and receive a cashback of up to Rs. 200. On the payment via Amazon Pay at McDonald’s, you could get 20% off up to Rs. 75. Freecharge is offering a flat Rs. 50 cash back on your McDonald’s meals. Use PayTM to pay for your McDonald’s meal and get 15% cashback up to Rs. 125. Download McDelivery app on your smartphone and order above Rs. 275 to get McVeggie/McChicken for free. For this, use the McDonald’s coupon code “APP275”. Nearbuy is an online platform that lets you discover stores around you. From entertainment and beauty to food and health, whatever be your need, you only have to step into the online world of Nearbuy. Additionally, you would get the best offers running for different platforms. On using the Nearbuy coupon code “NB10”, you would get 10% cashback up to Rs. 50 on your orders. There is no minimum purchase. You would get 36% off on KFC burgers, fries, and beverages at Nearbuy. Pizza Hut is offering a flat discount of Rs. 100 at Nearbuy on using the coupon code “PH100”. There is no minimum purchase. If you live near DLF Cyber Hub, then you can order your food from Smaaash at a discount of 10%. Want to have a bite of a delicious doughnut? Order your doughnut from Mad over Donuts at Nearbuy and use the coupon code “NB10” to get 10% cashback up to Rs. 50 on your purchase. Ask any pizza lover about the best pizza joint and he would suggest you OvenStory, where you could get indulge in the cheesy slice of hot and freshly baked pizza. Not only this, if you want to experience the authentic taste of pizza, order Over Story’s classic pizza right away. When you make online payments at Oven Story, you earn wallet cash back up to 350 credits. On buying a pizza under Oven Story BOGOS combo offer, you get another one absolutely free. Pay via PayTM at Oven Story to earn Rs. 150 cashback to your wallet. On placing three consecutive orders under the period offer, you would earn Rs. 50 on each transaction. Use the Oven Story coupon code “FIRST300” to get your hands on 100% cashback up to Rs.300. The offer is available for one-time use only. Are you feeling hungry? Then try 5 in 1 pizza combo which starts at just Rs. 550. Planning a house party or a get-together? Order your favourite pizzas from Pizza Hut to make the evening extra special. Within 30 minutes, hot and freshly baked pizza would get delivered right at your doorsteps. Take a mid-week break as Pizza Hut is offering a flat 50% off on all orders on Wednesdays. Looking for something delicious, but at the same time something economical? Order Pizza Hut Triple Treat box which serves four at a discount of 40% and saves yourself from ordering something expensive online. Use Pizza Hut Coupon Code “SCP20” to save 20% on stuffed crust pizzas like Veg Kabab Pizza and Chicken Masala Sausage Pizza. Instead of ordering pizza online, take it away at a discount of 50% from Pizza Hut. This take away offer is available only on medium pan pizza, throughout the week, but make sure to use the Pizza Hut promo code “WOW50”. Order Magic Pizza box of 4 veg pizzas at just Rs. 385. Now ordering food online from your favourite restaurant has become easier than before. Swiggy, one of the fastest food delivery services in India, lets you order food just by sitting on your couch. With the flexibility of no minimum order and live order tracking, you can sit back and relax while waiting for your order to arrive hot and fresh at your doorsteps. Get the biggest and best offers on every match day only at Swiggy. If you are a biryani fan, then get 30% off on Biryani at Swiggy. Feeling thirsty? Swiggy is giving free delivery service when you order flavour of the day from Keventers. 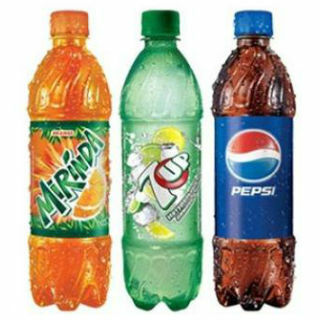 The drink is available at just Rs. 109 on Swiggy. Enjoy your daily sub at Rs. 143 only. Quickly order your favourite subway at Swiggy without using any Swiggy coupons. Faasos is giving out Ganpati special at just Rs. 172 via Swiggy along with free cost delivery. Cafe Coffee Day is offering buy one get one free deal to all Swiggy users. However, this offer is valid on selected categories only. Uber has already won hearts with their cab services. Now taking their business to another level, they have started Uber Eats service that delivers food right at your doorsteps. When you are not in a mood to cook food nor you wish to leave your home for a meal, just open the Uber Eats app on your smartphone and start ordering food online. 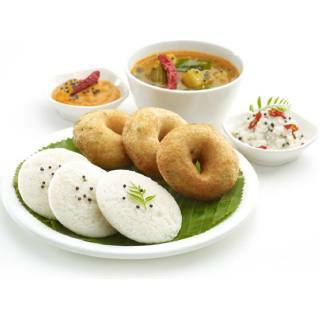 Get a flat discount of 30% on Chutneys at Uber Eats on placing an order above Rs. 100. No Uber Eats coupon is required. If you pay using your PayTM wallet then add Rs. 222 to your e-wallet to get up to Rs. 100 cashback after paying for your order at Uber Eats via PayTM. Use the Uber Eats coupon code “GRUB50” to save 50% on your orders at Uber Eats. Are you craving for an Asian food or wish to eat any Chinese or Japanese cuisine? Then order online at Wok Express where you can place your order as per the intensity of your food craving. Personal woks are specially created for small appetite, for your regular appetite go for medium-sized woks, and in case, you wish to indulge in food, large woks are the right choice. If you have ICICI card then you can avail the Wok Express offer to 30% on your veg and non-veg orders. ICICI bank is offering you a flat discount of 15% on Wok Express order when the minimum bill value is Rs. 350. Zomato, one of the fastest food delivery services in India, ensures to present you with the best meal every single time. Whether you want to order food online or want to book a table at a restaurant, then open Zomato. Zomato offers you great deals and discounts on online food ordering such as Zomato 50% off on all orders. PayTM users can avail an exclusive Zomato offer on using the Zomato promo code “ZPAYTM50”. With this deal, you get Rs. 100 cashback along with 50% off on your orders. 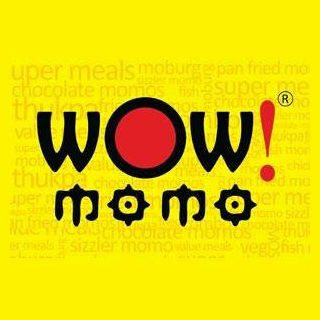 If you are new to Zomato, avail 60% off up to Rs. 150 on your first order. Make sure to use the Zomato promo code “NEW60” at the checkout page.